1. Clean out your beds. Remove the outgoing annuals from your plant beds, along with fallen leaves and other organic debris. However, don’t just throw these materials away—put them in your compost pile, where they’ll break down into nutritious mulch you can later apply to your soil. After removing dead plants and loose debris, it’s time to pull weeds. However, you shouldn’t compost these—if the seeds survive the composting process (which is quite common), you’ll just end up with more weeds in your beds. After sitting all winter, the soil in plant beds tends to get clumpy and compacted. Use a shovel to loosen the clumps and turn over the soil. As you work, add some fresh soil and fertilizer—these will provide invigorating nutrients and revitalize the beds. When everything is good and mixed, level out the beds with a rake and gather up any roots, rocks, and debris left over from your initial cleanup. 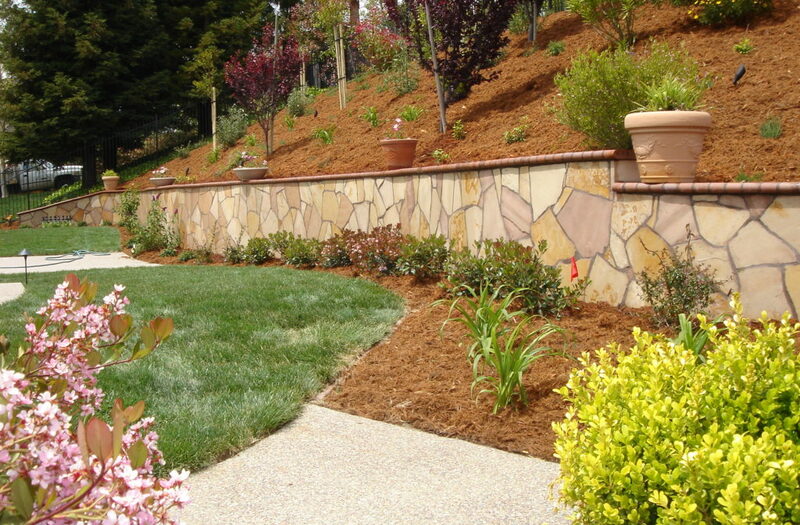 In addition to revitalizing your plant beds, spring is a great time to reinvigorate your lawn. As lawn soil becomes compacted over time, it can get difficult for air, water, and fertilizer to penetrate the surface and get down to the grass’ root zone. Unfortunately, unlike a plant bed, you can’t just take a shovel to your lawn (unless you don’t mind a patchy mess). Instead, you’ll need a mechanical core aerator. This machine’s hollow tines break up the hard pack and create holes that allow air, water, and fertilizer to permeate the soil. By aerating your lawn each spring, you’ll enable it to thrive during the hot summer months. 4. Sheet mulch your garden. Many gardeners put down fabric or polyethylene sheets to block weeds, but Laural Roaldson of Laural Landscapes, Inc. suggests an alternative method: sheet mulching with cardboard. Simply lay down overlapping sheets of cardboard throughout your garden and cover them with a thick layer of bark, wood chips or similar organic mulch. Besides being an effective weed blocker, cardboard attracts worms that help enrich the soil. It also naturally decomposes, which means you won’t have to deal with residual fabric in the soil, as is the case with synthetic weed barriers. The only catch is you’ll need to reapply new cardboard and mulch each planting season. Another important spring garden maintenance step is inspecting and cleaning your sprinkler and drip irrigation systems. During winter, it’s common for dirt and debris to accumulate in the openings of sprinklers and irrigation hoses. To dislodge this buildup, remove the nozzles from your sprinklers and turn the water on high to “blow out” the system. You should also check your drip system and verify all watering tubes and emitters are functioning properly. To find a Diamond Certified gardener or landscape maintenance company in your area, visit www.diamondcertified.org.